If you've recently bought a Google Home smart speaker — or the Home Mini or Home Max, for that matter — then you probably already know how useful and entertaining they can be. The Google Assistant answers just about anything you can think to ask, it can also read out the news and weather forecast, help find your phone, tell jokes, play games and of course play music. But what else is there? Well, you can start thinking about using the Google Assistant to make your entire home a little bit smarter. We're not talking about anything too complicated just yet — these products are all plug-and-play — but you can see this as the next step to make with your Google Home. Here are six Google Home-compatible devices to get you started on the road to building a smarter home. Just like how Amazon's Echo speakers can communicate with the company's Fire TV streaming stick, the Google Home range works with Google's Chromecast streamers too. There's the regular Chromecast, which plugs into your TV's HDMI port to serve up content from Netflix, YouTube, HBO and many more services. 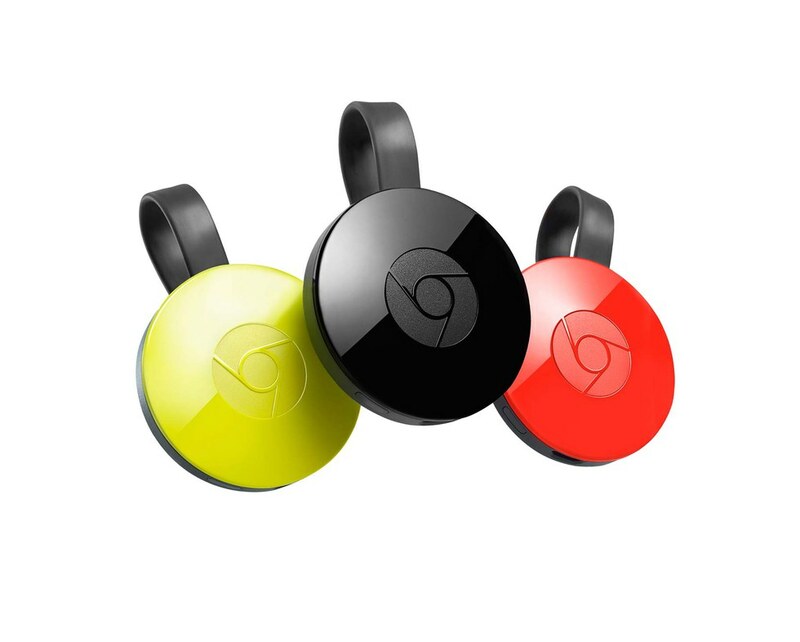 Then there is the Chromecast Ultra, which does the same thing but can stream Ultra HD (also known as 4K) video. Finally there' the Chromecast Audio, which plugs into the 3.5mm auxiliary port of speakers to basically give them an internet connect ready for Spotify streaming. Once you've added a Chromecast device to your Wi-Fi network, you can control it by speaking to the Google Home speaker. Say something like: "Hey Google, play Breaking Bad on the living room TV" and that's exactly what will happen. Smart plugs are your gateway to making almost everything in your home smarter. They connect to your Wi-Fi network and can be controlled by the Google Assistant, meaning you can ask Google to switch devices on and off as you please. Plug in a lamp, for example, and once you have set the plug up in the Google Home app, you can say: "Hey Google, switch the lamp on" to control it with your voice. Instead of a lamp, you could plug in a fan to have a cool breeze on demand, or a heater to warm the room on a cool evening. 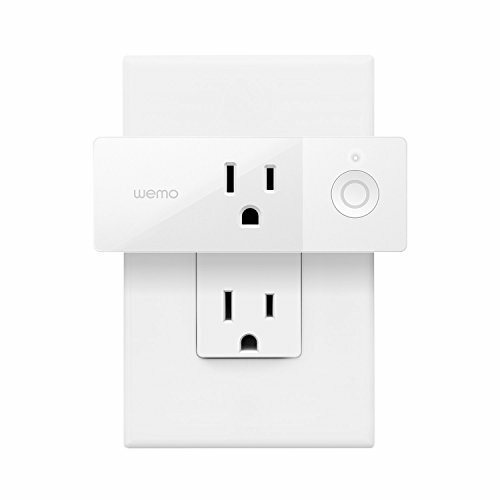 As long as the device operates when switched on at the wall outlet, it can be controlled with a smart plug. Controlling smart lights with your Google Home speaker can be remarkably simple, especially as Lifx systems do not need a 'bridge' plugging into your router, as is the case with Philips Hue. 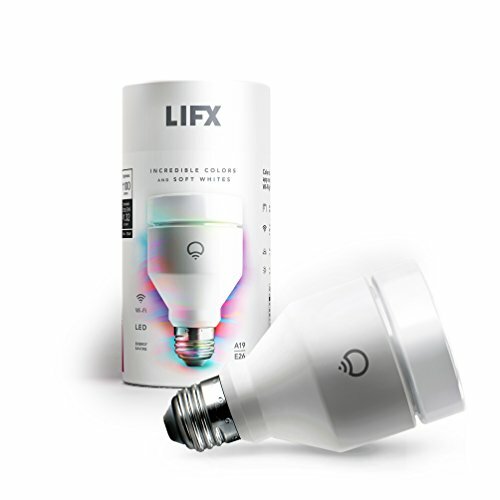 You can buy a single bulb to start out, which connects to your Wi-Fi network then can be controlled with the Lifx smartphone app, or with voice commands issued to your Google Home. Say: "Hey Google, turn the light purple" if that's your thing, or install a whole room of bulbs to get the full effect. You could say this is the Swiss Army knife of home security cameras. It can be installed indoors or outdoors; it can be run wirelessly from a battery pack, or hooked up to a wall outlet; it works with Alexa, Google Assistant and Apple HomeKit; it has Full HD video, night vision, two-way audio, and footage is stored online for free for 24 hours. As with all of the products features in this article, you need to do little more than connect the camera to your Wi-Fi network, jump into the 'Home Control' section of the Google Home app, introduce the devices to each, and away you go. Once set up, (and with a Chromecast connected to your TV) you can ask Google Assistant to show the Circle 2's video feed on the big screen. Useful if you hear a noise outside and what to check in on what's going on. 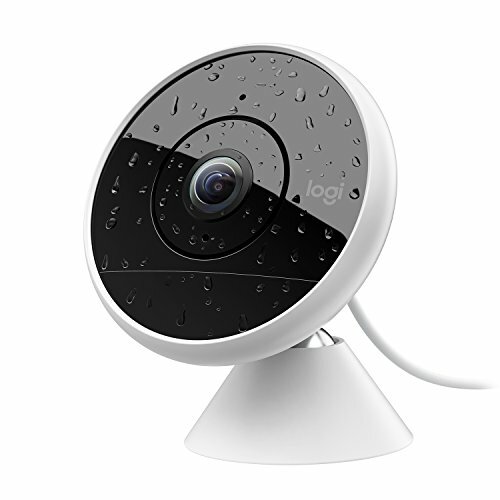 On a similar thee, wireless doorbells like the Nest Hello feature a camera so you can see who is at the door, whether you are a home, or away on vacation. This video feed can be seen on your smartphone, but like with the Logitech camera above, you can ask the Google Assistant to show this on your TV, via a Chromecast and your Google Home. But more than that, the Nest Hello is smart enough to learn who is at the door using facial recognition (assuming they have visited before and you have labeled them correctly, of course). Then, next time they ring the bell, Google Assistant will announce who is there. This one is slightly more involved than fitting a doorbell or a lightbulb, but smart home newcomers shouldn't be put off. 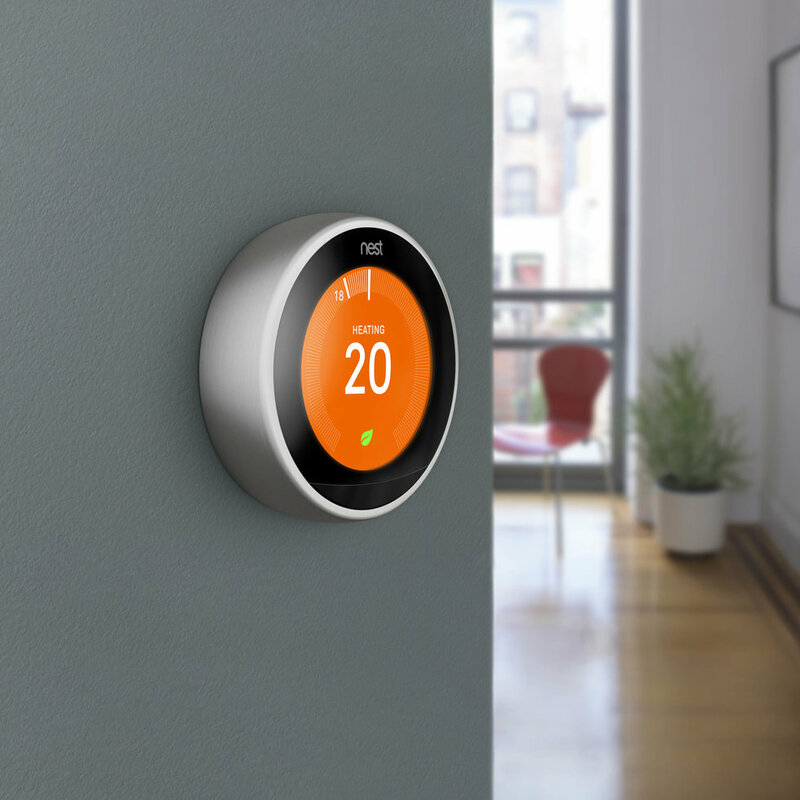 The Learning Thermostat by Google-owned Nest can help save money on your energy bills by heating and cooling your home in an intelligent manner — ie, only when it is required. No more leaving the heating on while you're away, or coming home to a cold home. 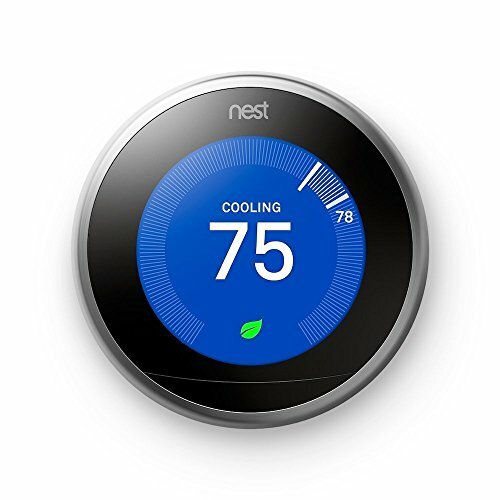 That on it's own is already a strong reason to buy a smart thermostat, but hook it up to your Google Home and you can ask the Google Assistant to control the climate for you. You can ask for the current indoor temperature, then say: "Hey Google, make it warmer" or: "Hey Google, increase the temperature by five degrees." Don't forget to check out The GearBrain, our compatibility checker for smart home devices. it will help you find all the smart devices that work with Google Home.